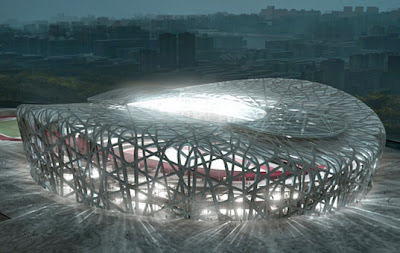 This is the "Bird Nest" building being built in Beijing for the 2008 Olympics. Its the Olympic National Stadium and is fantastic. Wait 'till you see the other pix. That blue building in one pic at the "Bird Nest" link is the "Bubble Building". 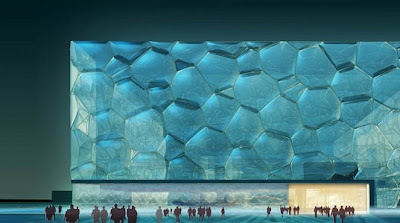 Its fashioned after natural soap bubbles and will be the National Swim Center. From the artists renderings, which is all I had to go on, it does appear the structure will be fantastic. Wish I could see both buildings in person, but doubt it will be possible. Eventually I do hope to visit China. I've always wanted to do that.